Renowned filmmaker Kalpana Lajmi died on Sunday morning at the Kokilaben Dhirubhai Ambani Hospital. 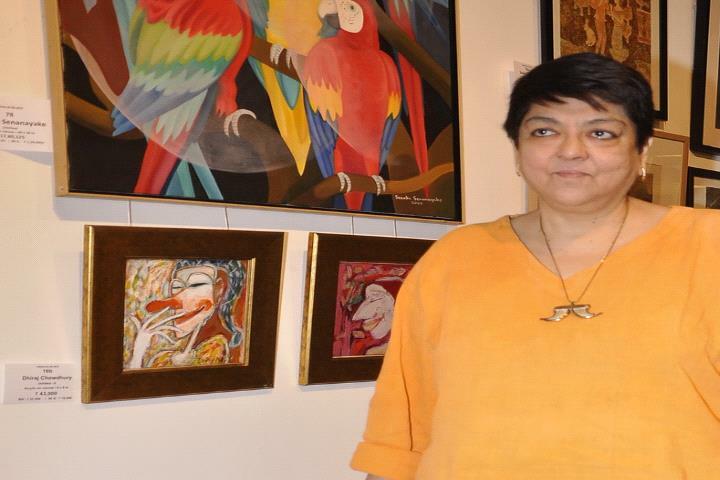 Critically-acclaimed director-writer Kalpana Lajmi was cremated Sunday in the presence of family, friends and loved ones. Lajmi, who was suffering from chronic kidney disease and liver failure, passed away Sunday morning. She was 64. Her younger brother, Dev Lajmi performed the last rites at Oshiwara Crematorium amidst a gathering of close friends and family members, including mother Lalita Lajmi. From the Hindi film industry, actors Shabana Azmi, Soni Razdan and director Shyam Benegal, who is also Lajmi’s uncle, paid their last respects to the filmmaker. Razdan, who was among the first ones to arrive, got emotional when the pyre was lit. A wreath was sent by Assam Chief Minister Sarbananda Sonowal to pay respects to Lajmi. Lajmi debuted as an assistant director under renowned film director Shyam Benegal, who was also her uncle. She went on to work as an assistant costume designer in Benegal’s Bhumika: The Role (1977), starring Smita Patil, Amol Palekar and Naseeruddin Shah, among others. Director Kalpana Lajmi, known for her distinctive women-centric films like Rudaali and Ek Pal, passed away at a Mumbai hospital on Sunday morning. She was 64. “She was suffering from chronic kidney disease and liver failure. She was on dialysis and in and out of hospital for three years,” her brother Dev Lajmi told PTI. Women in Lajmi’s films possessed an inner core of strength which allowed them to negotiate matters of heart on their own terms. In Ek Pal (1986), her debut feature, the much-married Priyam (Shabana Azmi) bears a child from her lover. Lajmi’s protagonists fought back hard when wronged. In Daman, Durga (Raveena Tandon) ends up killing her vicious husband. In Chingari, the wronged sexworker Basanti (Sushmita Sen) avenges her lover’s death slaying the rapacious priest. In Darmiyan, the Mumbaiborn Lajmi explored the relatively unchartered terrain of alternative gender. A niece of the famed filmmaker Guru Dutt, she assisted Shyam Benegal in films like Bhumika and Mandi, before producing and directing Ek Pal. Lajmi also assisted Assamese cultural icon Bhupen Hazarika striking a creative collaboration with him. “She was passionate about her work. She was Bhupen da’s companion and looked after him,” said filmmaker and Lajmi’s friend, Jahnu Barua. Hazarika passed away in 2011. Lajmi’s memoir, Bhupen Hazarika — As I Knew Him, provides an up, close and personal look into their longstanding relationship. Hazarika composed music for most of Lajmi’s films. The songs are instantly recognisable for their folksy flavor. Some like Jara dheere jara dheeme leke jaiho doli (Ek Pal) and Dil hoom hoom kare (Rudaali), both in Hazarika’s evocative voice, endure in popular memory. “There’s a distinctive flavor of Assam in her movies,” Barua said. Ek Pal was shot in the northeastern state. Before turning to features, Lajmi had also filmed a bunch of documentaries such as Along the Brahmaputra. And one of her most remembered work is Lohit Kinare, a 1988 DD serial adapted from Assamese short stories. Lajmi loved adapting literature for cinema. Ek Pal’s story was penned by poet-novelist Maitreyi Devi; Rudaali was based on litterateur Mahashweta Devi’s story and Chingari was scripted from Hazarika’s work, Postman and Prostitute. “She was extremely well read and very literary in her outlook. She was also scriptfriendly but not very comfortable with the physical process of shooting,” recalls Arif Zakaria, who made his film debut in Darmiyan. He adds, “I will always be in deep gratitude of her for taking the risk in casting me.” Shah Rukh Khan was initially slotted for the role. Lajmi made her directorial debut with the documentary, D.G. Movie Pioneer in 1978. Known for making fiery films with women at the core of her stories, her filmography boasts of movies like Ek Pal, Rudaali, Daman, Darmiyaan and Chingaari (2006), her last directorial. Rudaali (1993) featuring Dimple Kapadia in the lead was India’s official entry for Best Foreign Language film at the 66th Academy Awards. It also went on to win three National Film Awards, including Best Actress for Kapadia, Best Art Direction for Samir Chanda and Best Costume Design for Simple Kapadia. Lajmi, a director, producer and screenwriter, was known for working on real subjects. Her films often had a woman at the centre. Some of her popular films include “Rudaali”, “Daman”, “Darmiyaan”. Lajmi’s last movie as a director was “Chingaari” in 2006, based on a novel “The Prostitute and the Postman” by Bhupen Hazarika, who was her partner.